We all like surprises and if you like jewellery this surprise deal is perfect. Pay only £39.00 and receive a Lucky Dip of Crystal Jewellery. 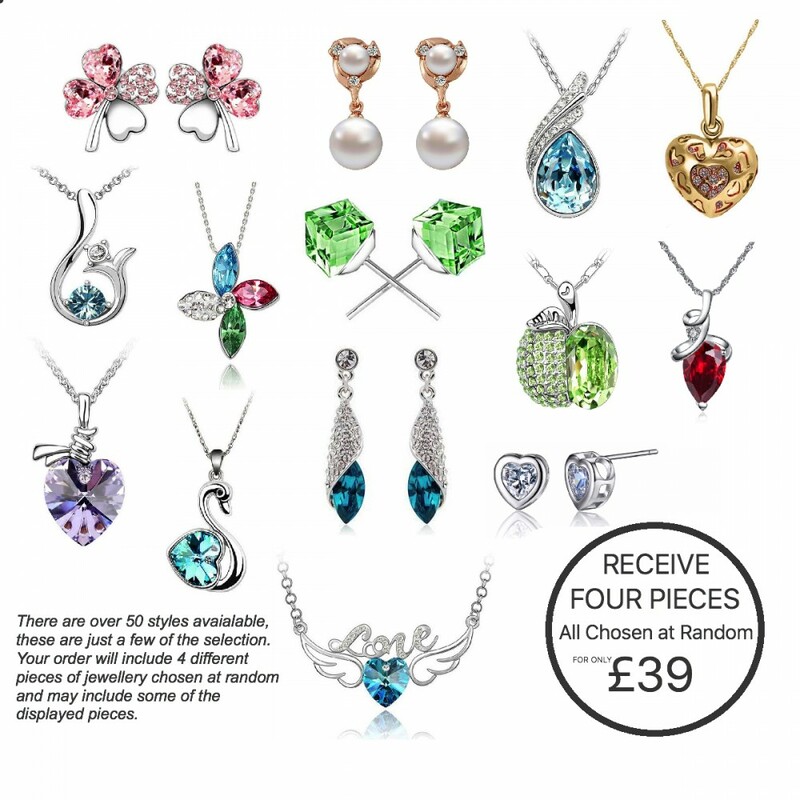 We have over 50 styles of Jewellery which you could receive and some examples are displayed in this image. All of the Jewellery is chosen at random per order and will contain different styles in every order (no repeated items) All Jewellery is made with crystals, made from alloy and is plated with silver, rose/yellow gold tone metal.